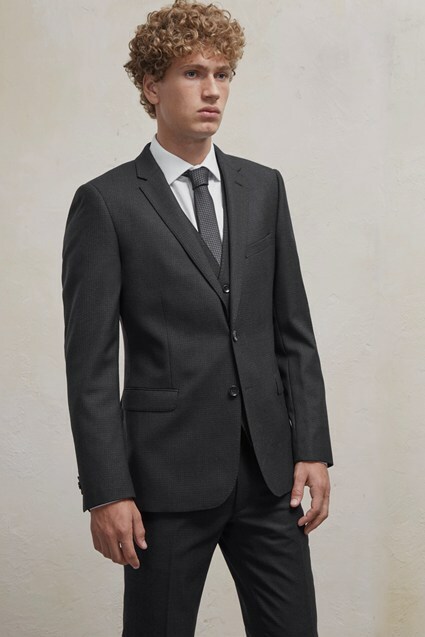 A very modern take on the smart suit jacket, this wool-blend style is cut in a slim fit and features minimal detailing. Wear it with our matching Classic Twill Trousers for a suave top-to-toe look that's perfect for work, weddings or black-tie affairs. Our model is 6ft 2" with a 37" chest and wears a size 38R.